The LocatED team has updated the site requirements list to include additional helpful information. 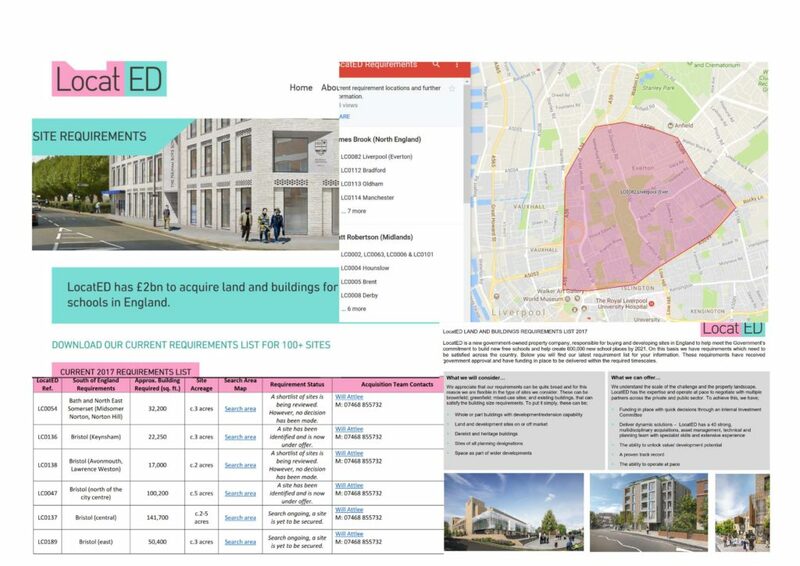 The LocatED team has updated the site requirements list to include additional helpful information including a map link which shows the target area for the requirement as well as contact details for the Acquisition Team member covering the specific requirement. See snapshot below.